This weapon was introduced in 1930 in its final form, and served in the French armed forces from 1930 clear into the mid-1950's when it was replaced by the AAT-F1 light machine gun. 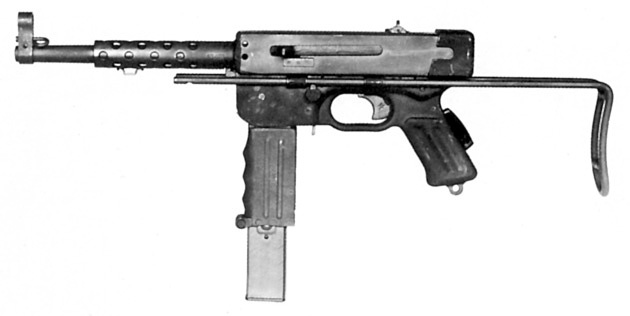 The M1924/29 featured a top-loading 25rd Magazine and a cyclic rate of 500rpm. Quite popular wih Legionaires, as it was easy to use in the roles of both LMG and Squad Automatic Weapon. This gun features a 2-trigger design. One trigger alows for semi-automatic fire, while the other fires fully automatic. This well-designed subgun was introduced in 1949 and first issued in 1950, becoming an instant hit with French soldiers, especially those in airborne units, as the gun folds compactly and can be eaily restored to action. Even though its high weight of approx. 8 pounds could be seen as a distractor, it also serves to make the gun virtually jump free, and, even though strictly a full auto proposition, quite capable of tapping out single shots or accurate bursts to a distance of around 100 yards. Another new entry in the French Arsenal was the entirely french designed and French built MAS 50 self-loading pistol. Featuring a 9-round magazine, it may have not been the most inspired designs in firearms manufacture, but proved quite popular due to its reliability, comfortable heft and coupling with the 9mm Luger Cartridge, giving it an edge over all previous French handgun designs, which albeit clever, were all designed around some rather anemic cartridges, especially in situations where killing your opponent was not near as urgent as stopping your opponent. 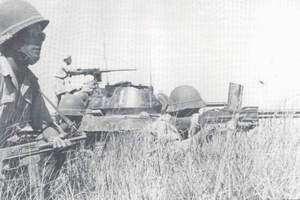 While many Vietminh are reported to have carried on for a bit after being shot by an MAB D or the 7.65 Long cartridge of the Mle. 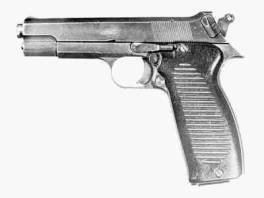 1935 pistols, few had the ability to withstand one or more 9mm hits.